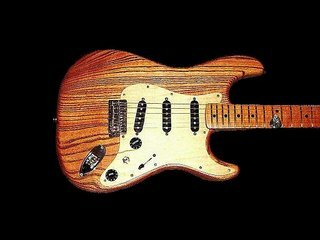 John iliou, a luthier in Ontario Canada, features a nice little documentary page about overhauling his '79 Strat. Underneath all the thick polyurethane, John discovered a beautiful ash body that he decided to simply oil finish. As a result, the guitar also recovered more body resonance and sustain. The stock pickguard was replaced with a maple one. Click Here to see more photos and read about the project.